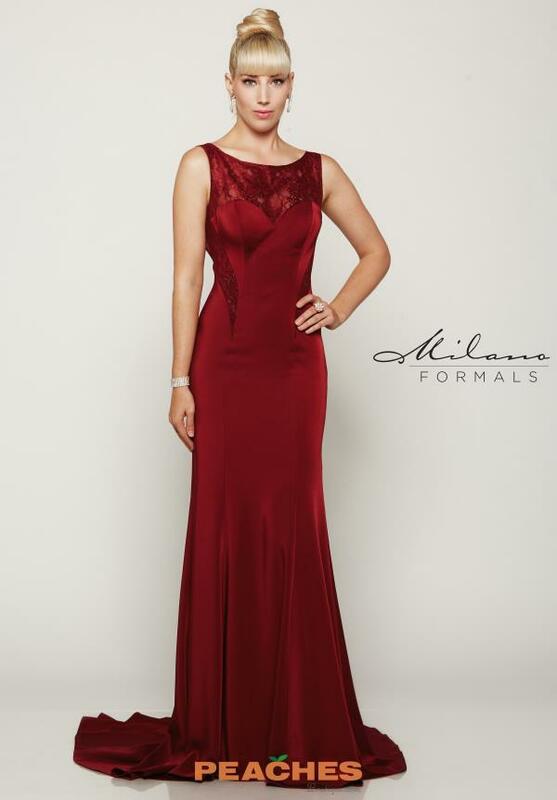 This Milano Formals long dress E2042 has a slim silhouette and lace detailing. Burgundy is the color of the year and this long dress is sure one of them. Stunning long silhouette features a shiny and very much flattering satin material that hugs every curve for a flattering finish. The sophisticated neckline features delicate lace that adorns the silhouettes open back. The sweep train adds elegance for the perfect finish.